As explained on the About page, Información Cívica is an initiative of the Latin America and Information programs of Open Society Foundations that aims to better understand the role and impact of technology and digital media in Latin American civil society. Last month, with the support of both programs, we brought together nearly 30 representatives from some of the leading civil society organizations in Latin America with ten experts in web development, digital media and design for a two-day workshop on how NGOs can best implement new technologies to more effectively carry out their work. 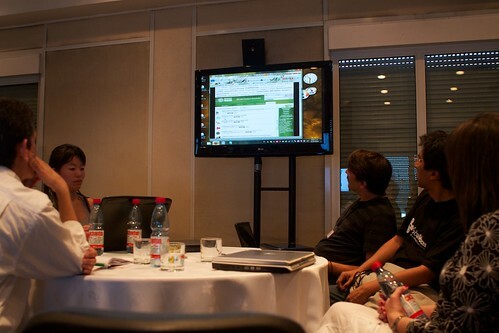 The workshop followed the first ever Personal Democracy Forum to take place in Latin America. Christian Van Der Henst describing how to integrate Web 2.0 technologies into site design. Participants from civil society organizations also had a chance to show off some of their technology related projects. 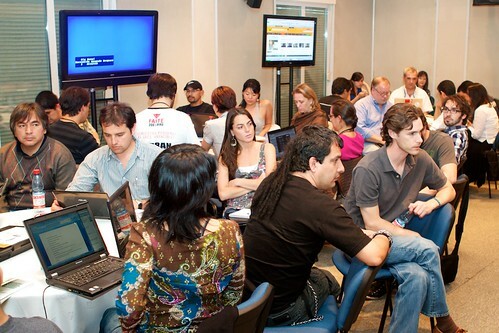 During a “speed geeking” session, participants rotated from one table to the next until they had a chance to become acquainted with six online projects including Subsidios al Campo, IDL Reporteros, Drogas Mexico, and the Índice del Derecho de Acceso a la Información en México. At the end of the second day all participants gathered in a circle to reflect on the process and content of the workshop. A few specific ideas were mentioned. Luis Lozano from the Center of Legal and Social Studies (CELS) in Argentina proposed a map that shows all human rights abuses that took place in Argentina during that country’s “Dirty War.” Luis Carlos Diaz from the Gumilla Center in Venezuela suggested a map of peace workers in order to highlight efforts of conflict resolution, rather than just incidents of violence. Many participants were frank about the lack of resources and the institutional challenges that are inevitable when implementing new technologies in any organization with diverse opinions and interests. 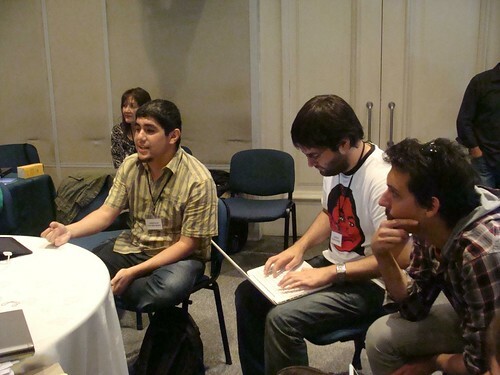 Discussion is continuing on a mailing list and several of the participants have written posts reflecting on the workshop including Luis Villanueva of ACIJ, Hector Izarra of the Red de Apoyo por la Jusiticia y la Paz, Juan Arellano (in english here), Alberto de Belaunde of Proetica, and Juan Casanueva of Reddes. As more projects develop from the workshop over the coming year we’ll track them here at Información Cívica.